Whether Evansville, Wyoming, is your permanent home, or simply your summertime base, Smart Storage is here to offer you competitively priced RV and boat parking. Choose from 10X25 and 12X40 outdoor parking spaces. Each spot in our fully fenced facility is monitored by 24-hour digital surveillance, so you know we’re always watching. We also boast gate access 7 days a week from 6am to 9pm. Pick up your fishing boat for an early morning on the water and then drop it off on the drive back into town. We put your convenience first. 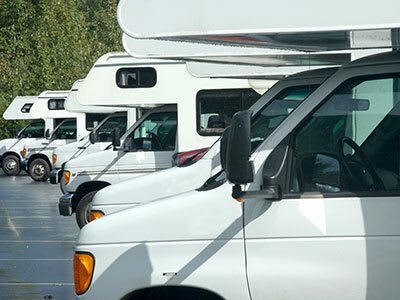 Keep the adventure alive with outdoor RV and boat parking at Smart Storage.